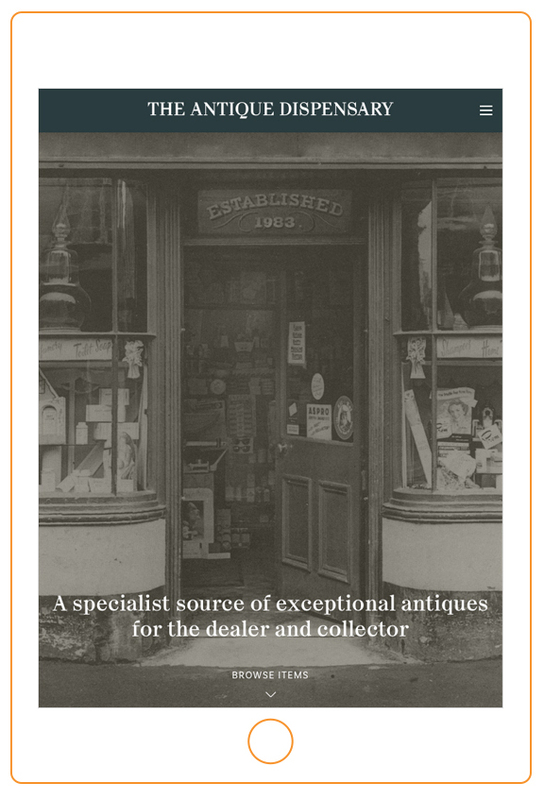 This week sees the launch of a great project we’ve been working on – the undertaking of a new tech startup web design. 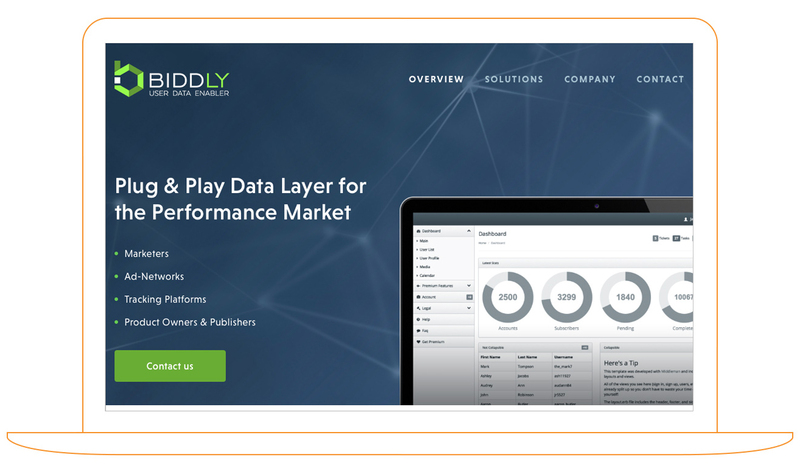 Biddly provides a platform for marketers, Ad Networks, Tracking Platforms and product owners and managers to manage their online advertising to ensure it’s as efficient as possible. Startup businesses are always on the back foot trying to leap forward – and mean working with an evolving visual look, so these are always great and often spontaneous partnerships. We occasionally get involved with the original design of their logos, but more often that not (and in this case with Biddly) expand their pre-existing branding, which gradually creates a customised individual personality for the company. Building a relationship with a successful start-up is one of the most rewarding kinds of work we do, particularly as it usually results in a great, mutually beneficial relationship which can build over many years as the company goes from strength to strength. The key to the success of the Biddly project is the information graphics and icons we have custom-drawn for the layout. Startup business websites have to impart a great deal of information, often on a limited number of pages. That is particularly true in the tech genre, and this site has to get across a relatively complex proposition to the relevant customer. By sticking to a simple colour palette and building a graphic language for the Biddly site around that, the overall look of the piece has a clear cohesion which we think works particularly well. 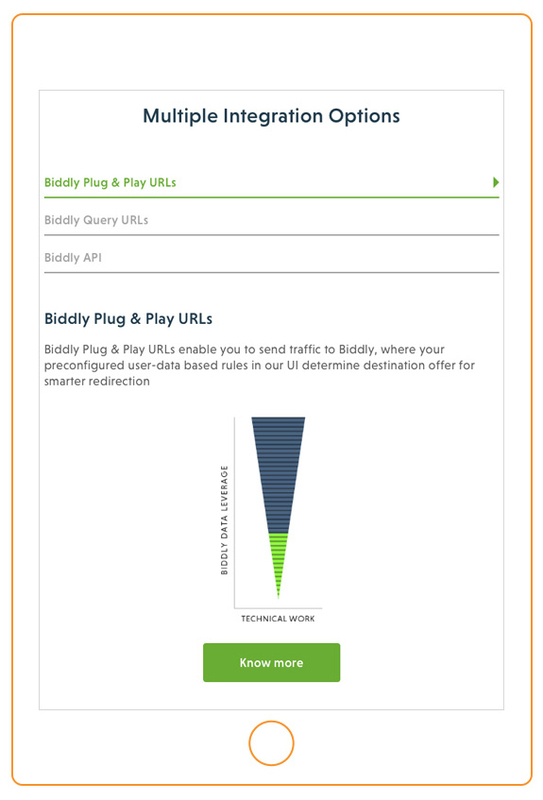 The new Biddly site uses basic parallax effects as users move through the pages – and these are particularly noticeable and effective on mobile devices. The elements come together to give a slick, easy scrolling experience which feels very attractive. In many ways this website feels much larger than it is, due to the length of the pages and the clever use of information graphics. By allowing the information to breathe on the page, the level of detail can be pretty intense without feeling offputting. 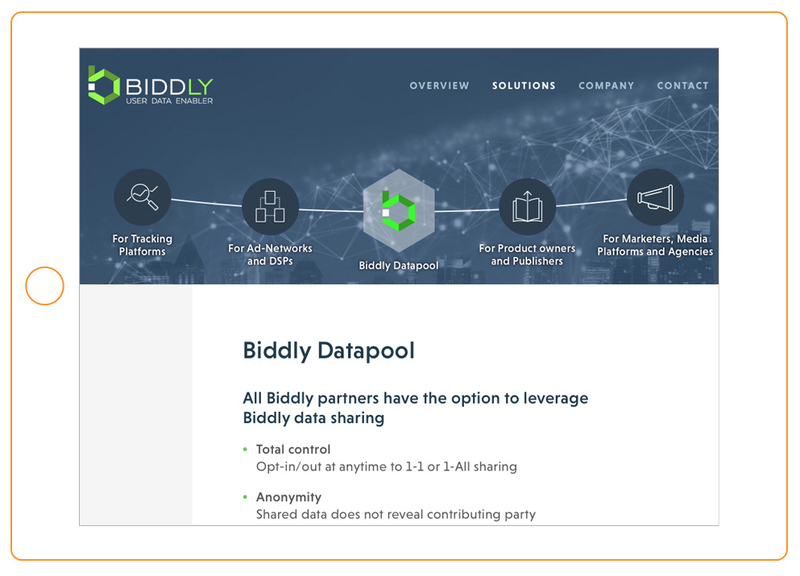 Speaking more generally, as a startup grows, their requirements evolve and expand – and we have planned for this to be the case with Biddly. Various new features are planned over the coming year as well as additional effects and pages. In the market for a new tech startup web design project? 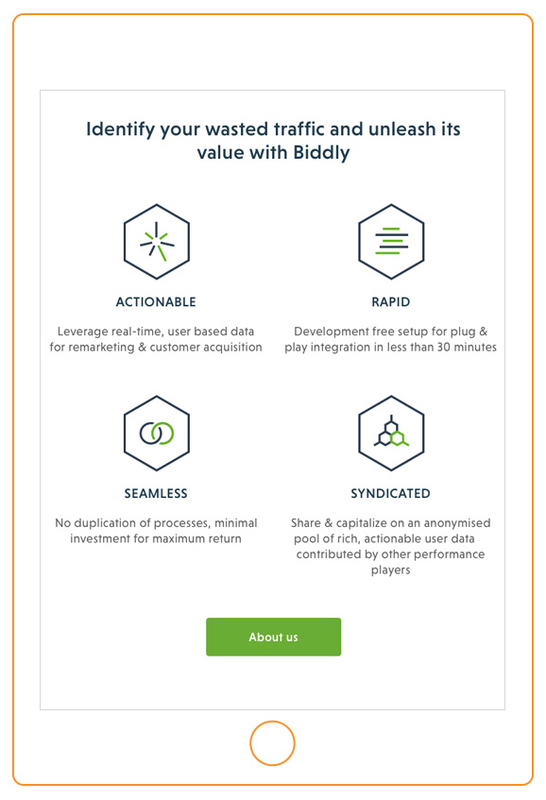 Biddly is a tidy project case study for a new tech business. We would recommend this sort of approach for a tech startup – it is clear, modern and gives the immediate impression of competence. It is an ideal setup as you move towards ‘Series A’ funding giving potential business partners and investors immediate confidence in your proposition and the future of the company. If this sort of project is of interest we would love to discuss it further.